French in France is different from French in Canada. Spanish in Spain is not the same as Spanish in Chile. In India, though within the same nation, Hindi in Uttar Pradesh has different shades and flavours from Hindi spoken in Maharashtra. Providing the website content in the language of your customers can prove to be game-changing for your company! Those who would not otherwise consider using online services, for example, may be largely benefited if the service is available in their own language. If you wish to make your website multilingual, we are here to offer professional translation of the entire content for you. You worked hard to have a great product/service. Then you probably paid a lot to get a good website done – you took efforts to get the design, the layout, and the content right! Don’t ruin your efforts by offering a monolingual website if you are aiming at international business development. Don't cut corners when it comes to communication...it is the foundation of business success! More than 73% of the internet users search and browse internet in a language other than English. (Source: Internet World Stats - http://internetworldstats.com/stats7.htm. Estimated internet users are 1,966,514,816 on June 30 2010) So as to tap this huge potential of global non-English speaking markets, it is a pre-requisite to have your website translated into the languages of your customers or target countries for your business. According to a recent survey conducted across 10 countries by the Common Sense Advisory, USA, 52% of people reported that they might buy only at websites where product or service information is presented in their own language. (This figure goes as high as 60 percent in France and Japan.) Language is such an important factor that 56.2 percent of respondents considered that information in their own language was more important than a low price. The trust and comfort of dealing in one's own language is unmatched! Reach your customers faster and better by speaking their own language! A web site available only in English prevents a large number of potential local customers from benefiting from it. By making your website available in local languages you can reach customers who may not be comfortable with dealing in English. To cater to these needs of your organisation you require professional website translation services. We at LSB provide professional website translation services in India, from and into any language. We ensure high quality, fast turn-around and cost-effective professional website translation services that can lead to an immediate leap in your business growth! Availability of Website translation services in any format as per client requirements. A specialised team of experts with the updated domain knowledge. We have handled numerous website translation projects, while taking special care of the linguistic, cultural, and commercial aspect of the content. To name a few projects, content was translated in 5 languages – Nepali (from Nepal), Bangla (from Bangladesh), Sinhalese (from Sri Lanka), Arabic (from Egypt), Spanish (From Chile) – for India’s largest Tractor manufacturing company. We translated web content for an internationalisation project for JLS International (www.jls-europe.de) from English into French, Spanish, Polish, Russian and German. 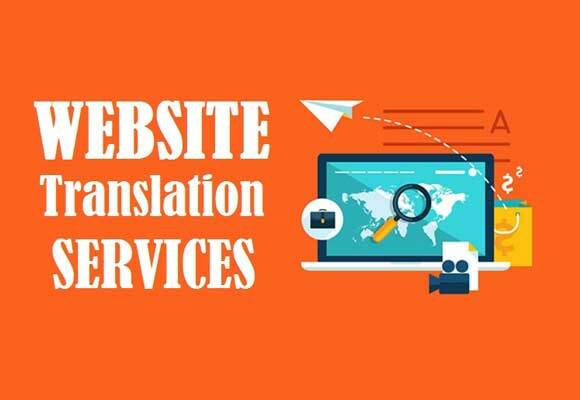 With the skills of our translators, our website translation services gain a special credibility that can spell the difference between acceptance and rejection of your message with consequent effects on your business.